Malpractice litigation is usually associated with wrongdoing on the part of medical profession and indeed, this makes up the vast majority of malpractice cases. Still, in a broader sense, malpractice can refer to misconduct by any professional in any field that has a duty of professional responsibility to his or her client. For example, a negligent lawyer that fails to compose a legal document properly, at the detriment of a client has engaged in legal malpractice. A financial advisor that makes false claims or is irresponsible with the client’s assets is engaging in fiduciary malpractice. Medical malpractice lawyers are by and large the most common but their practices may also general malpractice cases involving other professionals. You must be able to articulate to the malpractice lawyer the nature of the negligence and how this represents a breach of professionalism on the part of the party you want to sue. You must also be able to specifically identify the harm caused by malpractice, be it physical, emotional or financial. Clearly articulating what you want from the settlement or judgment will help the lawyer to build a case and cater specifically to your needs. General malpractice lawyers are not very common due to the level of specialization in the malpractice litigation field. If you already understand the nature of the lawsuit you want to find, you can approach a specialist directly, such as a lawyer that takes medical malpractice or white collar fraud cases. You may use this website to find a malpractice lawyer. To do so, use the search box on top of all pages. You may also compare lawyers and ask free questions by clicking Find Lawyers on top of the page. Do I need a specialist? Specialists are very important in malpractice litigation as each form of misconduct or negligence by professionals will involve radically different fields and understanding of what constitutes negligent behavior in that field. For instance, a white collar malpractice specialist should have an understanding of SEC regulations and ethics that another lawyer may lack. Medical malpractice lawyers should have an understanding of ethical rules involving informed consent and proper medical professionalism. You will find a specialist very useful when pursuing malpractice litigation. You must gather everything you believe will be relevant to the lawsuit including contracts and agreements between you and the negligent party. Not all agreements are legal documents, but they can help the lawyer understand the nature of the dispute. You may find it helpful to jot down specific details such as liability or your potential culpability in case you may neglect to mention this to the malpractice lawyer. The more the lawyer knows, the better he is able to proceed at winning a settlement or guiding the lawsuit through the sometimes convoluted civil courts. You must be prepared to ask questions and make a personal judgment on if the malpractice lawyer will meet your needs adequately and will give proper merit to your case. Although it is required of lawyers to graduate from an accredited law school and pass the bar examination, it never hurts to examine the malpractice lawyer’s credentials. You will not be able to determine the breadth of the lawyer’s experience or his or her competence from a cursory look at their educational credentials, but it will help you to anticipate the caliber of the lawyer. Additionally, you must be ready to assess if a general malpractice lawyer has adequate knowledge of the relevant field to best serve the needs of the case. Advertising and name recognition are not always hallmarks of good lawyers and should never be used when evaluating an lawyer. An experienced malpractice lawyer will have a reasonable expectation of how the lawsuit will proceed and the ways that it may potentially become complicated due to the addition of joinders or the introduction of legal precedents from outside the jurisdiction. Joinders may occur in malpractice cases where the professional being sued has harmed multiple individuals and the court decides that its time is best spent combining all the charges against the defendant rather than dealing with several trials with the same defendant. Be aware of unreasonable fees, illegal activity or coercion on the part of the malpractice lawyer. You will usually be able to determine if your lawyer has your best interests in mind. Bar associations maintain dispute resolution and grievance services for clients that have issues with their malpractice lawyer. Failing to report negligent or unethical behavior may negatively affect both you and future clients. There are various fees that are accrued when consulting and retaining a lawyer. It is important to be aware of these fees. Hourly rates are an option in general malpractice, but if the case will become a lengthy process, a retainer may be necessary. You should be able to get all fees in writing from a reputable lawyer. A contingency fee is a percentage of the award that the malpractice lawyer is entitled to claim if they win the case. Nearly all malpractice lawyers accept cases on this basis and the fee can range from 33-40% of the award. These fees are generally non-negotiable unless regulated by law or accompanying a case with the possibility of a substantial award. A retainer fee is a non-refundable advance payment by the client that covers the cost of services provided by the lawyer. 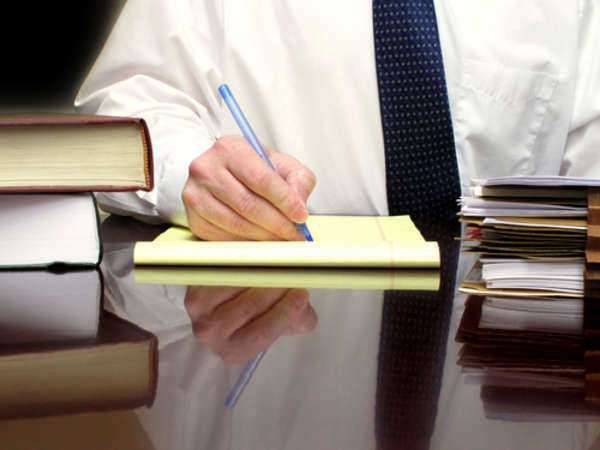 If you cannot afford to keep a lawyer on retainer, the lawyer may work by hour or on contingency. A referral fee can be charged by some lawyers that do not specialize in your case but do know another lawyer at another firm with that specialty. This does not increase the fees that the client must pay, but is merely an agreement between two lawyers to share the award. The State Bar usually requires the approval and disclosure of this agreement to the client. An lawyer that has been referred has the best incentive to win the case and indeed some of the best lawyers only accept referrals. Some lawyers will charge fees for the use of support staff, such as paralegals that conduct research and compose legal documents. You should be made aware of the charges associated with these services. What fees do I pay for retaining services? Can I have that in writing? What percentage of the award will you collect? Do you take a smaller percentage if we settle out of court? Are you experienced with this aspect of malpractice law? Does this include general knowledge of the field that can help us anticipate problems with the case? Can I contact you directly if there is a problem? Can you allow me to examine your credentials? What is your experience with my circumstances? If you cannot handle my case, can you refer me to a lawyer that can?